WE RESCUE, TRAIN AND SUSTAIN STRUGGLING CHILDREN’S HOMES. We realize that while we may not be able to bring every orphan into our homes, we can work diligently to better the homes where so many orphaned children are found today. We at Serving Orphans Worldwide believe that all children are loved by God. Throughout Scripture, we see God’s heart for the fatherless and James 1:27 makes very clear the mandate to care for orphaned children to His glory. We believe that one of the responsibilities of God’s people is to care for widows, orphans, and those who have been marginalized by the economic and social systems of the world. It is to that end that we come alongside the body of Christ to support orphanages and children’s homes. SOW cares for orphaned children by empowering their caregivers to do their best work, with compassion, grace, integrity and excellence. Our end goal is to see every child reach the potential that God has for them. Learn more about our Statement of Faith and our Core Values and Beliefs here. 100% GOES DIRECTLY TO ORPHAN CARE. THAT’S OUR PROMISE. When you give to Serving Orphans Worldwide, you are not only feeding their mind, body, and spirit. You are feeding the potential for greatness in that child. 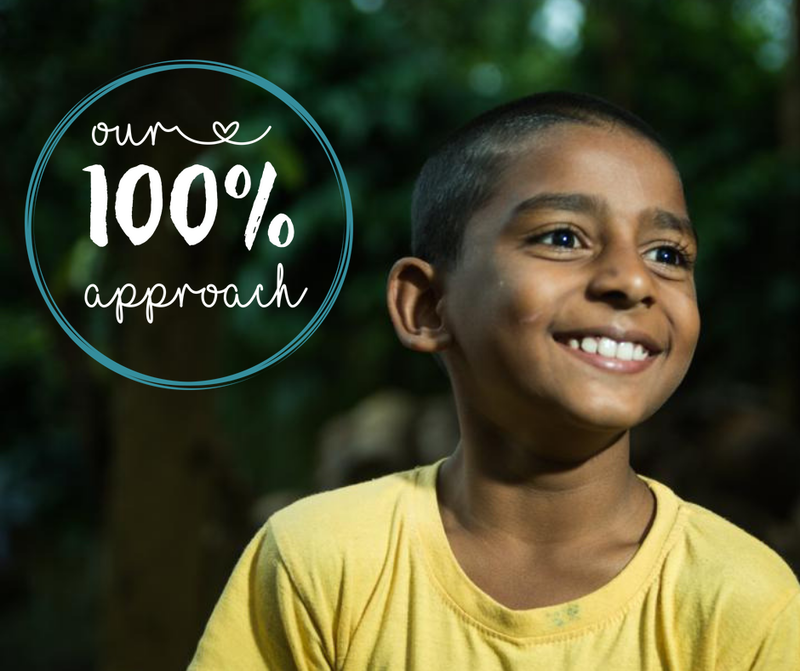 We believe that every resource donated to orphan care is a blessing and we take our responsibility to be good stewards of what is given seriously. That is why our promise is that every penny you give goes directly to the field and will never be spent on SOW’s administrative costs. Through the generous support of our sponsors, everything from paper clips to staff salaries is totally covered. We even have a partnership with the bank so that all transfer fees are covered. Dr. John Gregory serves as Founder and President of Serving Orphans Worldwide. Dr. Gregory has been involved in philanthropic work for many years. However, in the economic upheaval of 2009, Dr. Gregory began hearing that many orphanages were closing their doors due to insufficient funding for their operational costs. It was then that he partnered with several faith-based organizations to begin the work of Serving Orphans Worldwide. Ken has served on various boards including Hispanic Ministries, Volunteers in Medical Missions, and SC Missions Board. Ken began flying in 1984 and holds a commercial pilot license with instrument rating. He also speaks fluent Spanish, and has 25 years of experience in cross-cultural relationships and communication. Reece serves as Development Director for Serving Orphans Worldwide and has a background in nonprofit fundraising, strategic planning, and marketing. After attending Hillsong Leadership College in Sydney Australia, Reece moved to Texas with his Wife Susan. They have two children and enjoy travel, serving at their church, and spending time outdoors. Jenny Wallace serves as SOW’s Office Manager and Executive Assistant to Ken Anderson, our VP of Operations. She has an administrative and marketing background and is delighted to be a part of the SOW team, helping to change the lives of orphans around the globe. Jenny looks forward to SOW’s future growth and shares in our vision of the amazing possibilities for the orphans we assist. Brooklynn began working with SOW as a Business Intern and now serves as Assistant to the Office Manager. Brooklynn considers working for a SOW a great honor and is excited to see us continue to grow. She is currently working on her BBA, as well as a degree in Equine Studies. Outside of her job at SOW, Brooklynn is active in the music ministry at her church and enjoys working with and riding horses. Susan brings over 10 years of non profit and community development experience to the Serving Orphans Worldwide team. She was born in Vietnam and moved to Australia when she was three months old, where she lived and pursued her education in Social Work and Community Welfare. She has a passion for working with children and other marginalized populations, which is ultimately why she was drawn to working with our team. Julie recently completed her PhD in Intercultural Studies with Biola University in 2018. In total Julie has spent the last 24 years working cross-culturally, including an 11 year commitment to Cambodia where she lived and served. In Cambodia, Julie oversaw multiple transformational development projects that focused on holistic human development, and is excited to bring her passion and skills to the SOW team. Pramod Bahadur Anderson serves SOW from Pune, India, photographing and reporting from orphanages in his region. He discovered his gifts in the creative arts at an early age while living in an orphanage himself. Fifteen years later he committed his life to Christ and is blessed to be able to use his gifts for God’s glory today. Coleman began working with SOW as a volunteer while living in Kathmandu, Nepal. There, he had been doing extensive work with the city’s street children and desired more long-term solutions for impoverished and orphaned children, which lead him to the work of SOW. Coleman holds a bachelor’s and master’s degree in theology and has served a ministerial role in both the American and Nepali church. Chairman of the Board of Wilcox Travel Agency, Inc. & Chairman of the Board of Tower Associates, Inc.